As a way to say thank you for purchasing my book, I’d like to offer you these free bonuses to support you on your Hero’s Journey to the Authentic Self. Click on the titles to access the bonus. A witty overview to see how far you’ve come … how far you have yet to go … and how to get from here to there … on your Hero’s Journey to the Authentic Self. 2. 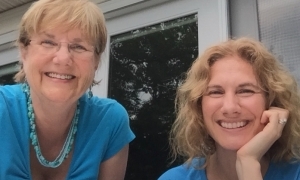 Audio interview with Benita Esposito and her dear friend and colleague, Dr. Cynthia Libert who is an Integrative Physician who specializes in optimizing mood, memory and brain function. This is a fun friendly overview of the book. A quick, easy way to find $400-600 per month to apply towards what is most important in your life. My clients love this exercise. A touching prose poem written by Benita Esposito that illustrates how healing occurs when we’re emotionally present with each other. Discover if you are a Highly Sensitive Introvert. Take the quiz.